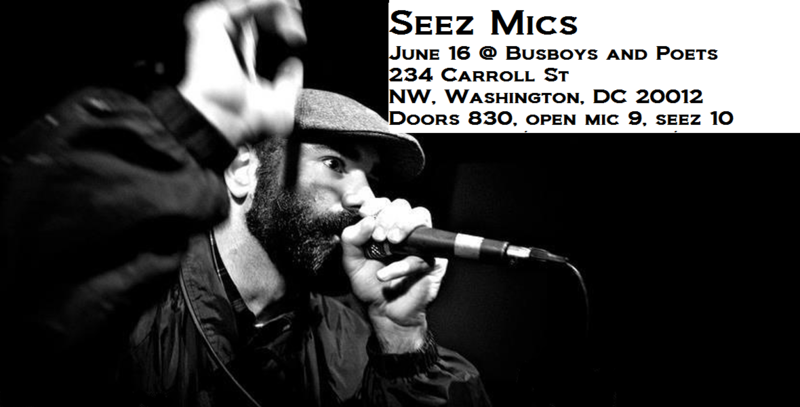 I am honored to join the long list of spoken word artists who have performed at the Busboys and Poets locations in and around D.C.
Patrick Washington of the legendary POEM-CEES is organizing featured guests to bat clean-up at the open mic, and he was kind enough to invite me for the June 16 edition at the Takoma Busboys and Poets. Doors are 830 PM and there will be an open mic from 9 – 10 PM. I’ll be performing pieces from my poetry book “Easier Dead Than Numb,” a few songs from my critically-acclaimed album “Cruel Fuel,” and some unreleased pieces that I scribble on my palm while gathering inspiration from the energy of the room.